Nigerians have been urged not to engage themselves in the panic buying of petroleum products as a result of the reported proposed scarcity of the commodity. This warning was given by the management of the Nigerian National Petroleum Corporation (NNPC), which allayed fears of possible hiccups in petroleum products supply in parts of the country following an ultimatum issued by the National Union of Petroleum and Natural Gas Workers (NUPENG) over a purported intervention by an arm of the security agencies in what the union viewed as purely labour matters involving a company and its workers in Delta State. NNPC Group General Manager, Group Public Affairs Division, Mr Ndu Ughamadu, in a statement at the weekend in Abuja, said the corporation’s Group Managing Director, Mr Maikanti Baru, and his management team, were engaging the parties involved, saying the parties are close to resolving the issues. 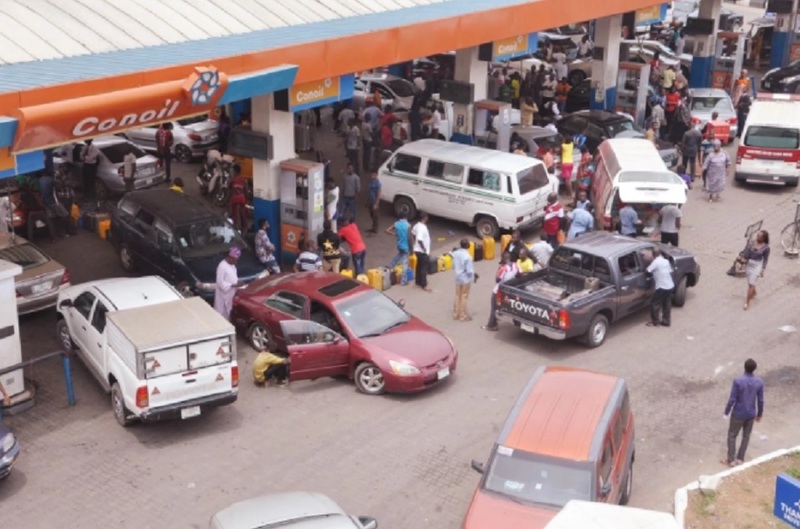 Mr Ughamadu advised motorists and other consumers of petroleum products not to engage in panic buying as the NNPC management was close to reaching an amicable resolution of the challenge.